Kanpur: A mother-daughter duo suffering from Muscular Dystrophy embarked on a hunger strike demanding assistance from the Centre for medical treatment or permission to undergo euthanasia or mercy killing. The patients, Anamika Mishra, and her mother Shashi Mishra, who are residents of Yashoda Nagar here, alleged that they were forced to go on strike as the government failed to respond to multiple letters written by them seeking medical treatment. “I have written several letters to the President, Prime Minister, and Chief Justice of India. However, we have not received any response so far. I have written to the leaders to either provide assistance for our medical treatment or grant me permission for mercy killing. I will continue this hunger strike until I receive a proper response from the authorities,” Anamika told ANI. Furthermore, a protestor and helper of the duo stated that although their food and basic needs were being taken care of, medical treatment was unaffordable, and therefore, urged the government to offer assistance to the patients. “Between 2014 and 2017, Anamika wrote nearly 11 letters, but did not receive a reply on any of them. We are able to take care of their basic needs, but the cost of medical treatment is very high for us to pay. She (Anamika) finds it very difficult to move around. While they are demanding permission for mercy killing, we would urge the government to assist them in availing treatment,” he said. 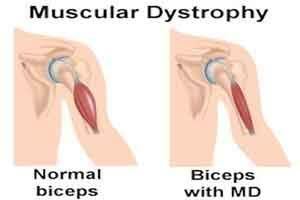 For the unversed, Muscular Dystrophy is a disease that results in the weakening and breakdown of skeletal muscles over time. The disorders differ in which muscles are primarily affected, the degree of weakness, how fast they worsen, and when symptoms begin. However, many patients eventually lose the ability to walk. On a related note, the Supreme Court on Friday allowed passive euthanasia, or withholding treatment essential to life for a terminally-ill patient, subject to certain guidelines. Recognising the right to die with dignity, the apex court ruled that human beings have the “right to die with dignity.